Moving across the country is always a chaotic and stressful. As one of the most experienced interstate movers in the country, we understand that nothing is impossible and no cross country move is impossible for us. As long as all the right preparations are in place, we will provide quality services to meet your relocation needs. If you are planning to move across the country, consider hiring the services of our professionals for a smooth and seamless move. When planning to take part in a cross country moving, there is so much you’ll need to consider such as hiring the right service providers. To make sure everything goes as planned, you’ll need to choose a company with the right equipment and training so your move can be completed successfully. 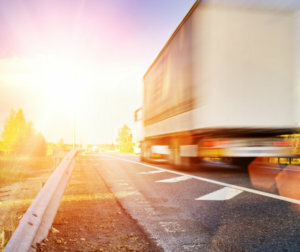 Here at Advantage Moving and Storage, we offer our expertise in all aspects of your cross-country move so you can have an easy time relocating. When you begin calling cross country moving companies for estimates, make sure you ask about the services they offer. Our professionals offer a myriad of services at an affordable cost including packing, loading, unloading, and unpacking. We can also arrange everything according to your specification upon arriving at your new destination. When you hire us, you don’t need to worry about the state of your commodities. Our team of experts is trained to work with fragile items. We will pack and transport them carefully so they can arrive in their best condition. In addition to the following services, our team of interstate movers pride themselves in offering quality long-distance moving services using their state-of-the-art equipment. We have numerous assets such as the straight trucks, trailers, flatbeds, and tractors that transport our customer’s belongings on schedule and budget. If you are unsure about what it is you require, our experts are more than willing to guide you throughout the process so you can be confident you are working with the right team. If you are looking to hire an experienced interstate mover, Advantage Moving and Storage is more than ready to assist you. Give us a call today to get the help you require!